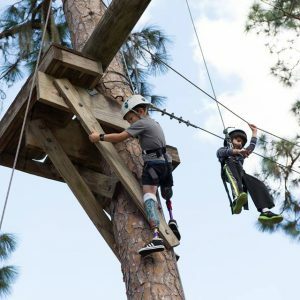 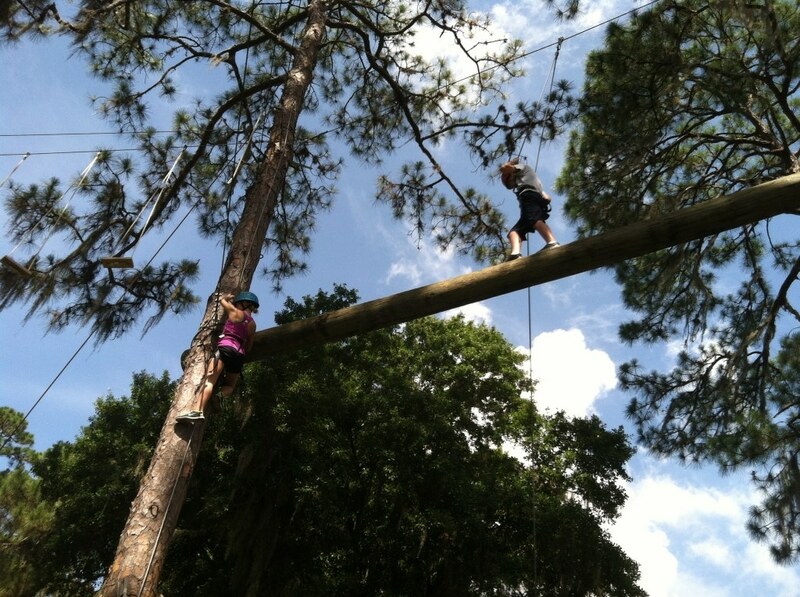 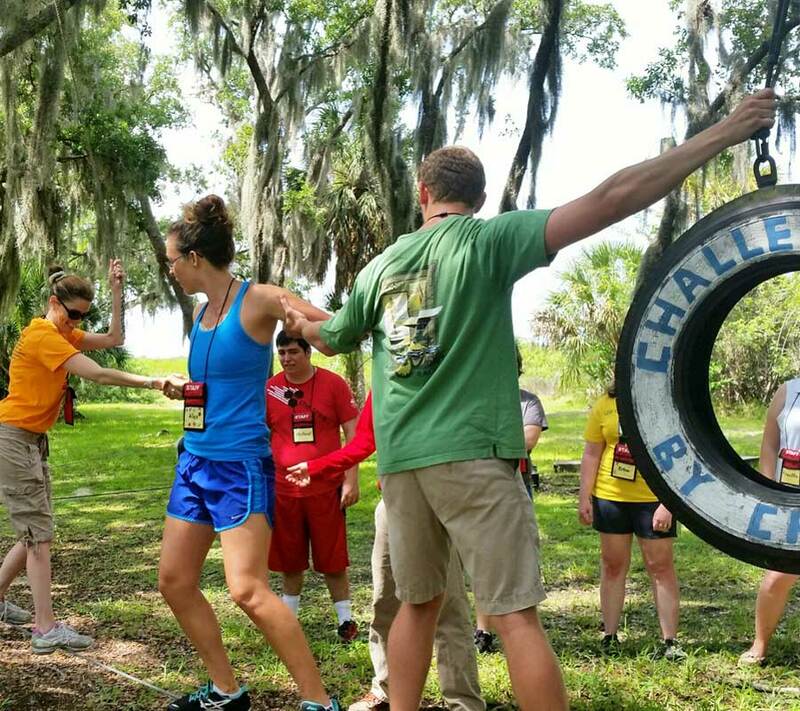 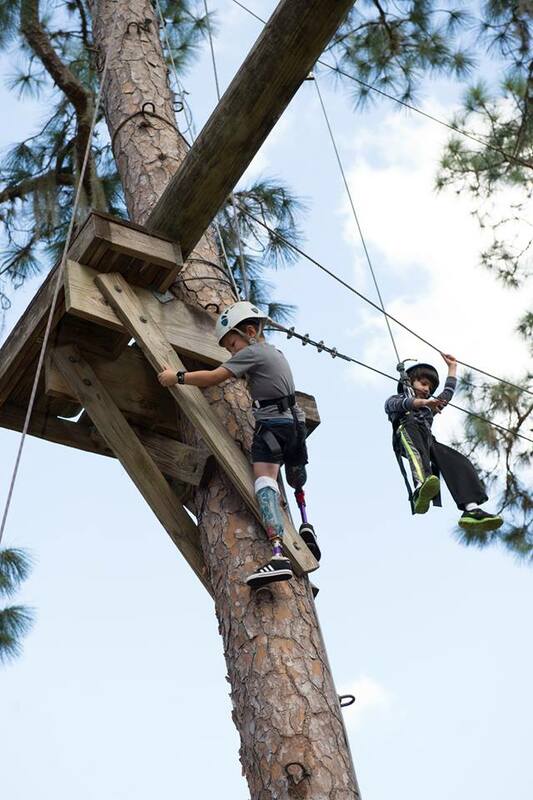 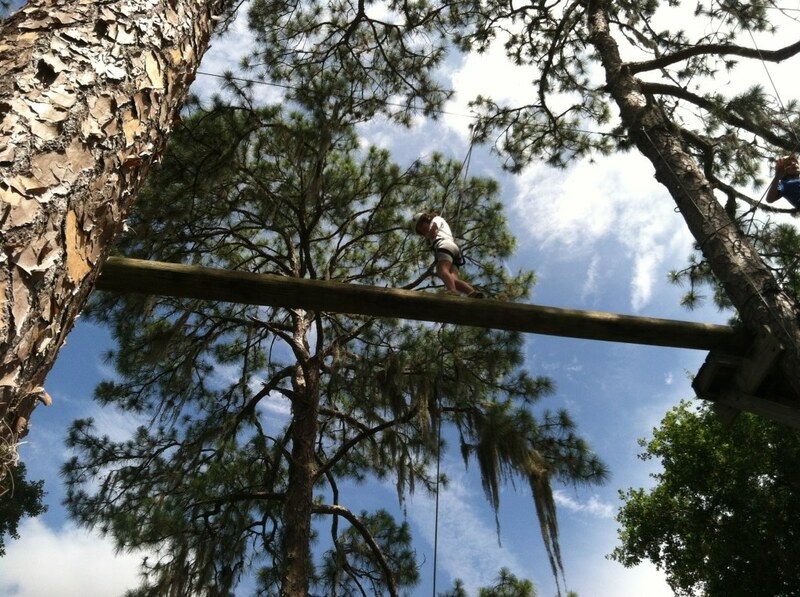 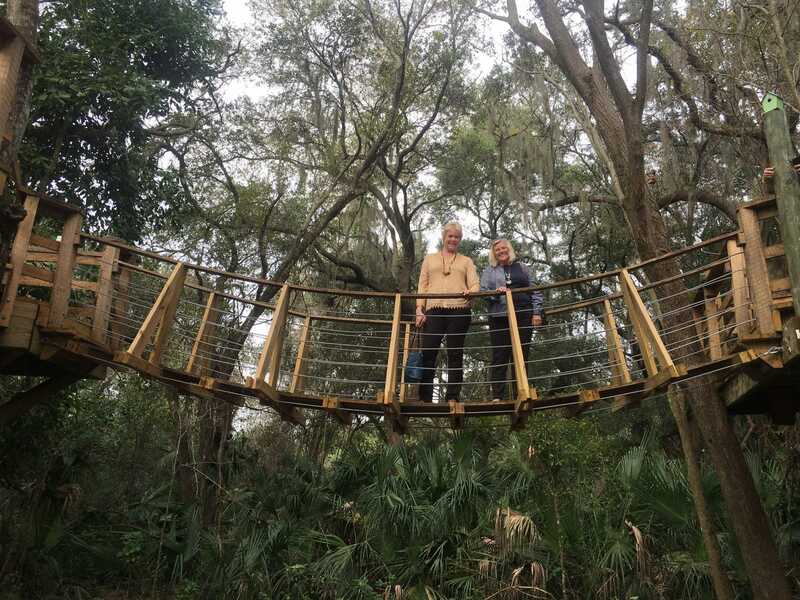 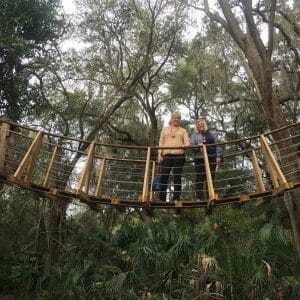 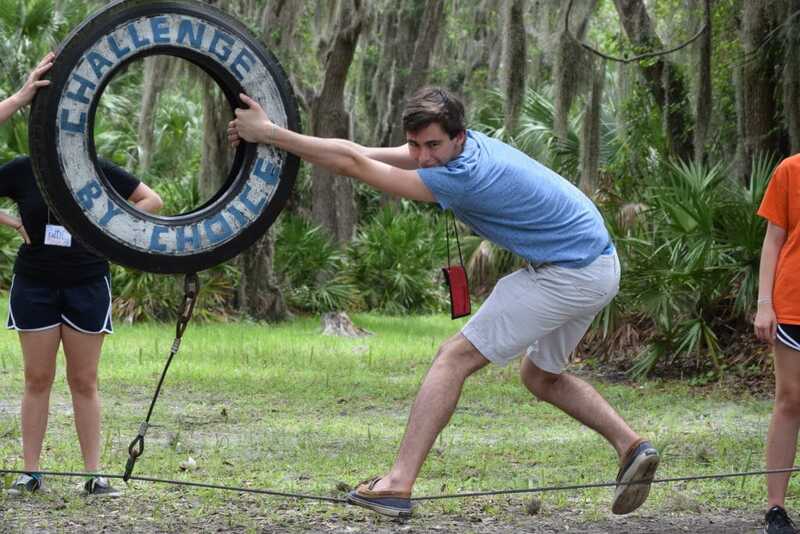 Each ropes course is composed of a series of elements which pose a unique set of challenges to those who attempt the journey, and pride of accomplishment once those obstacles are overcome. 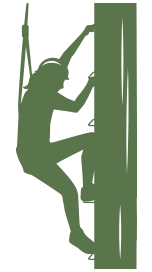 A technical program using a series of knot styles. 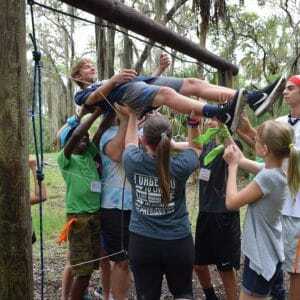 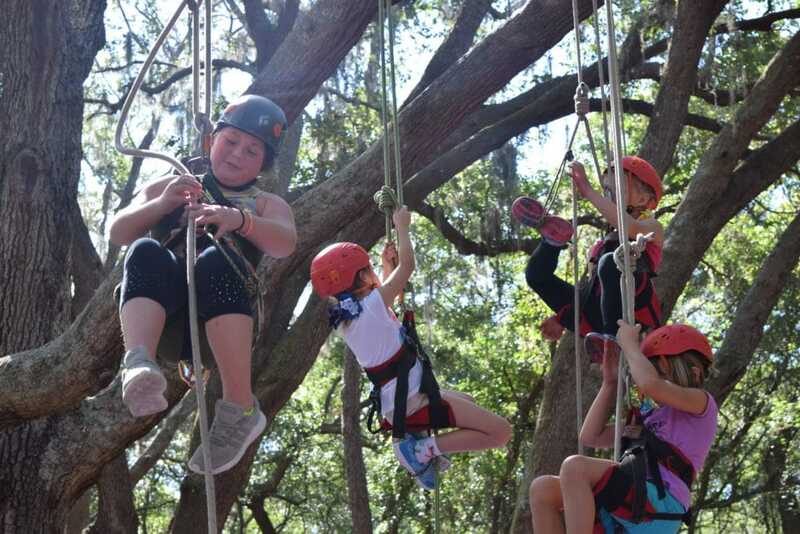 Students gain confidence as they tie their way to the top. 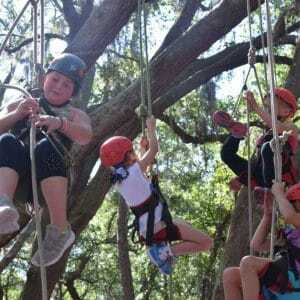 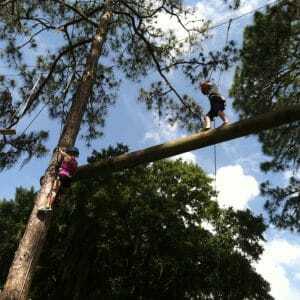 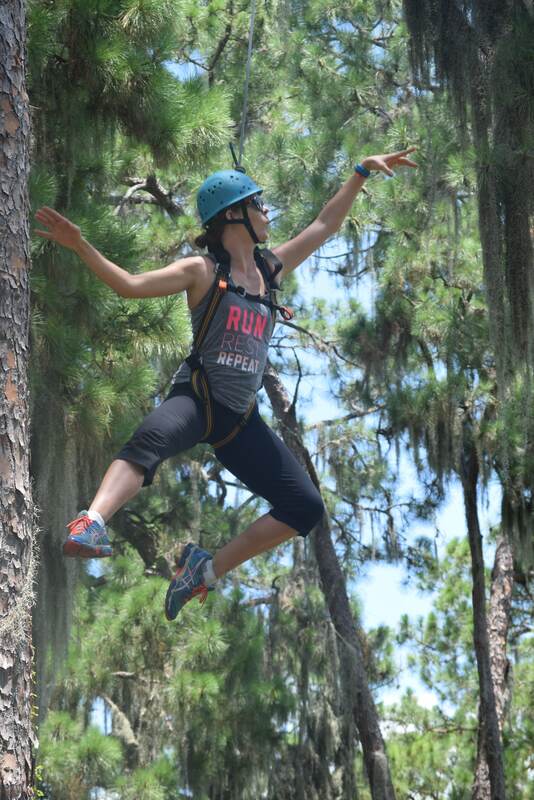 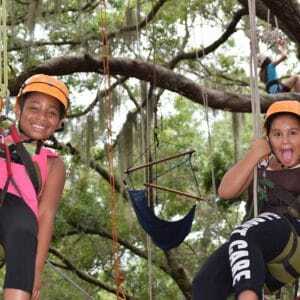 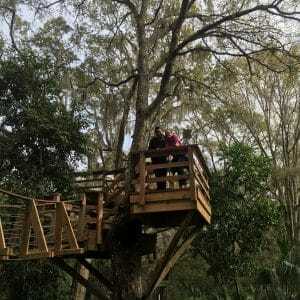 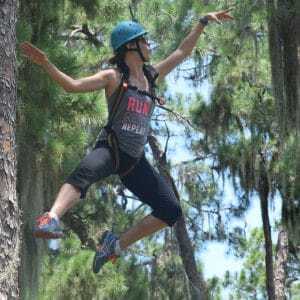 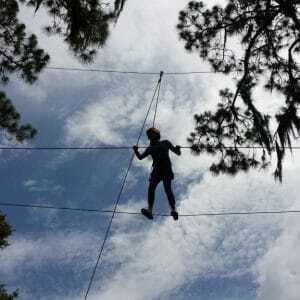 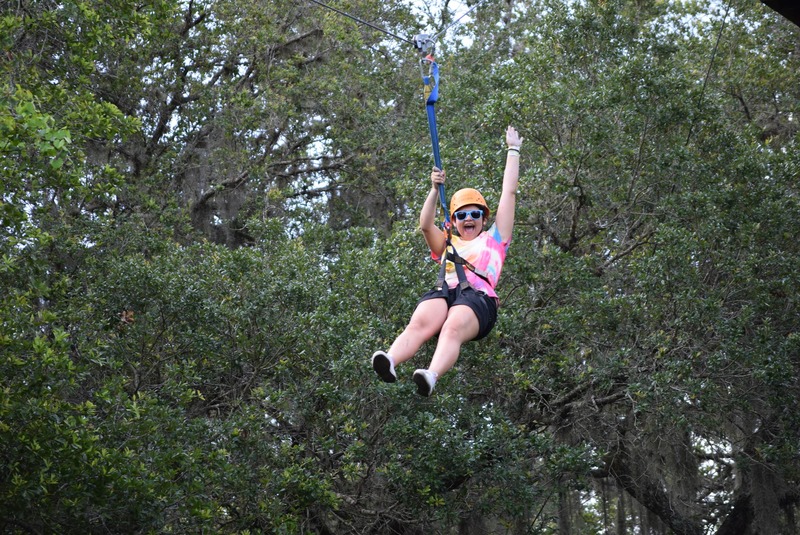 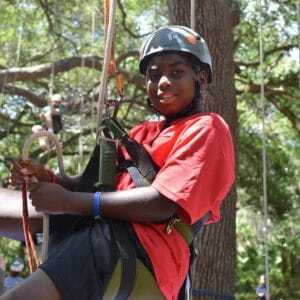 High ropes are situated in trees and posts between 25 and 40 feet above the ground. 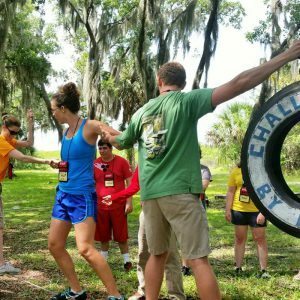 As participants ascend to these elements, they often perceive some level of danger and separation from other participants on the ground. 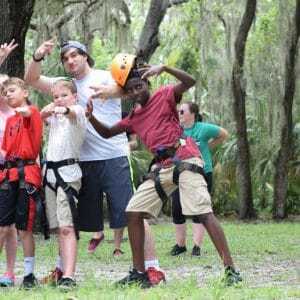 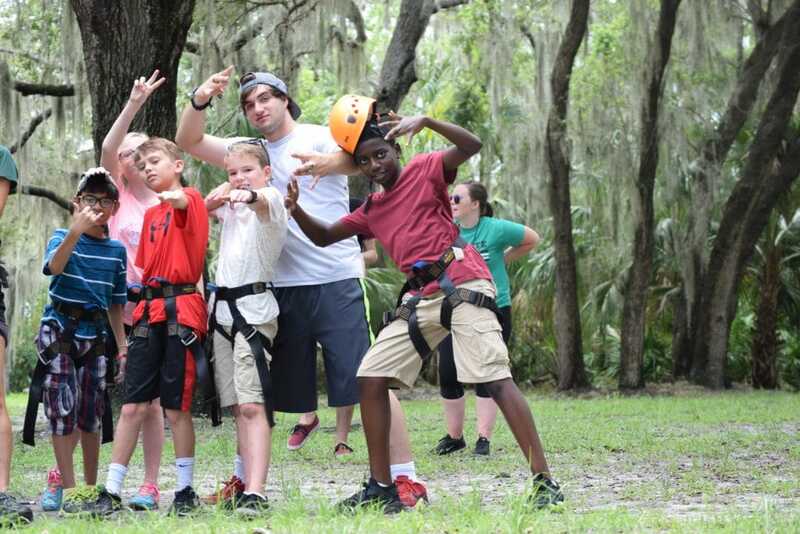 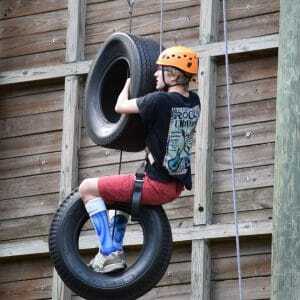 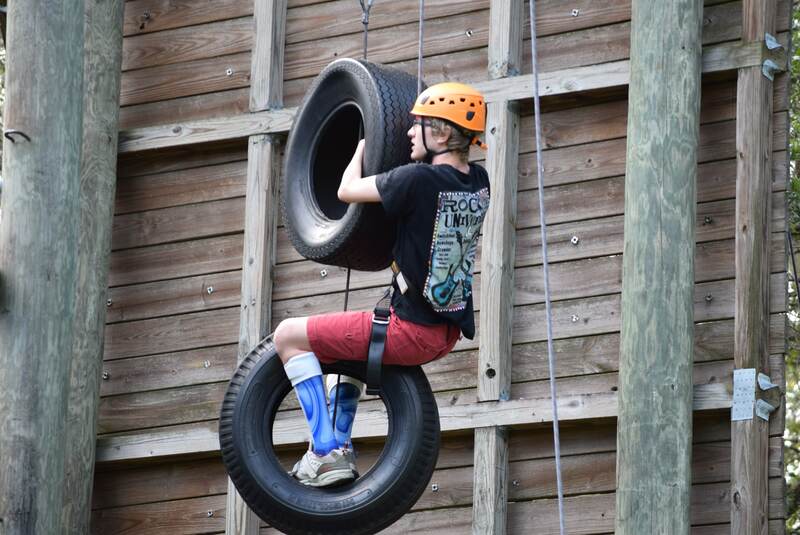 These feelings make our high ropes course particularly useful for fostering confidence and self esteem in participants. 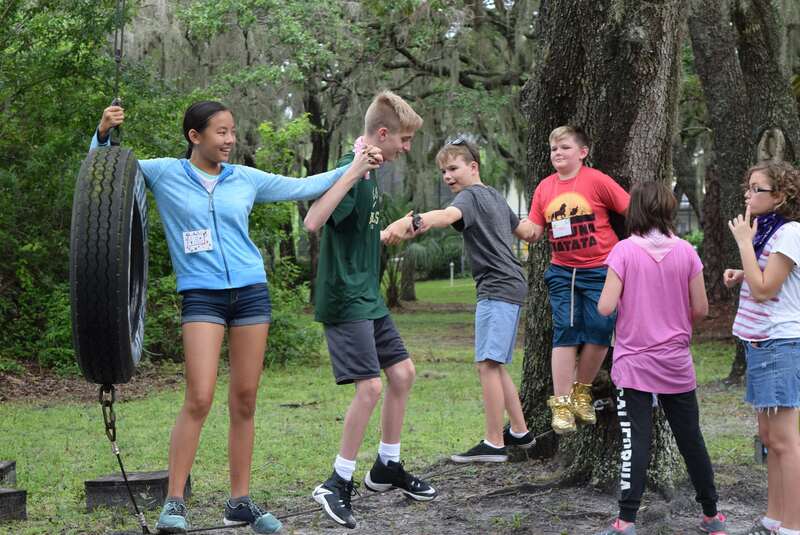 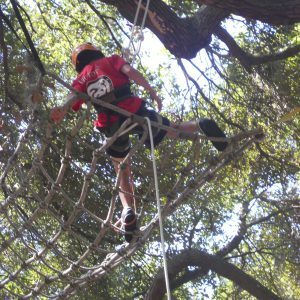 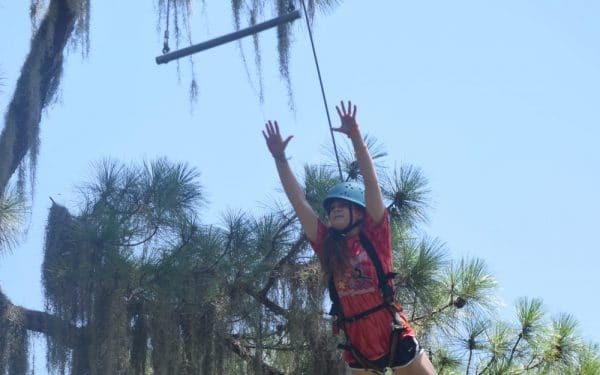 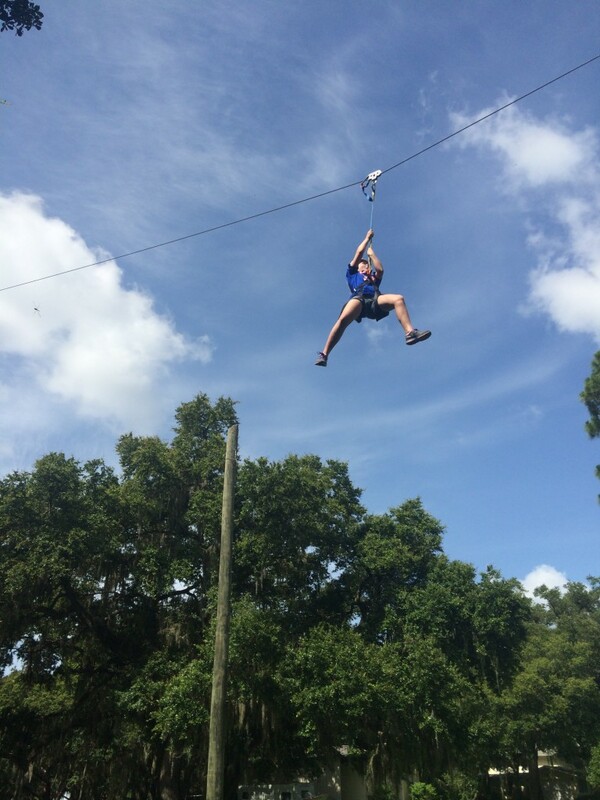 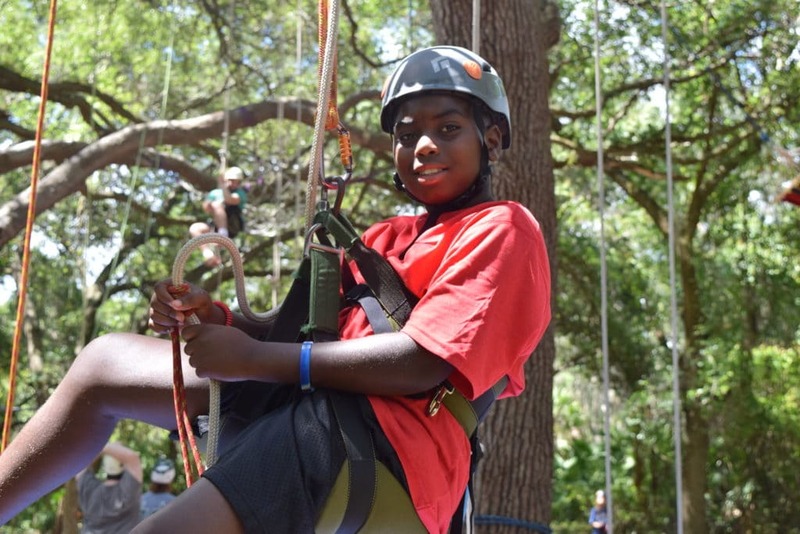 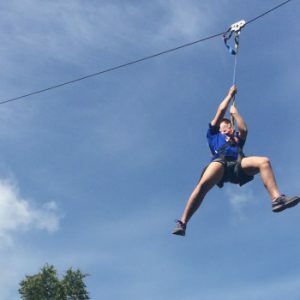 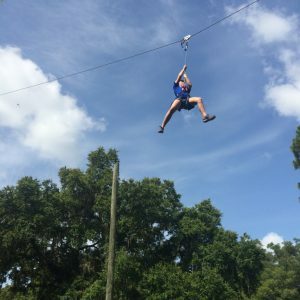 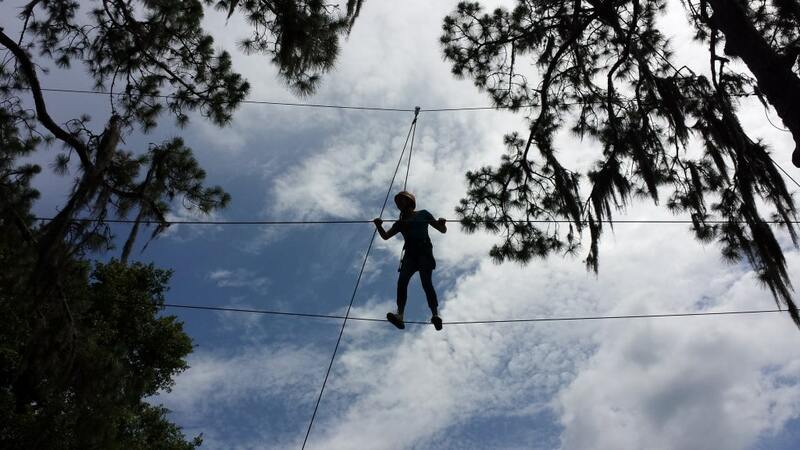 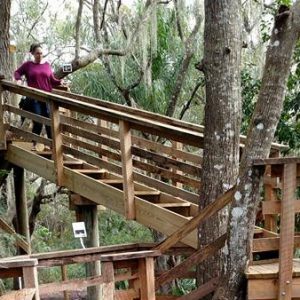 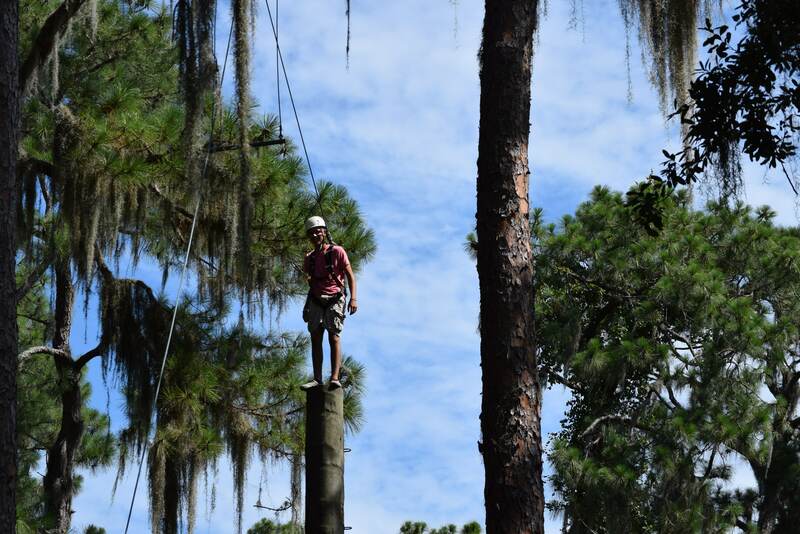 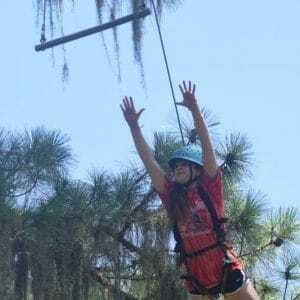 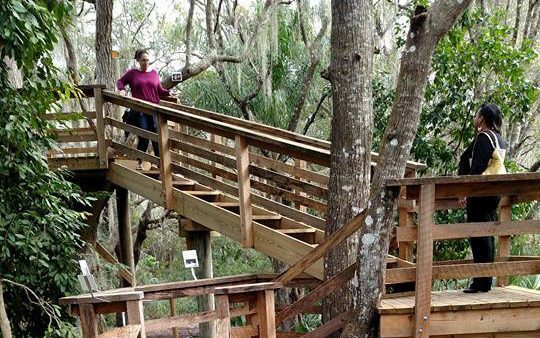 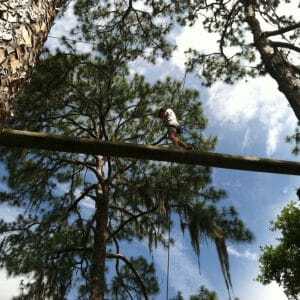 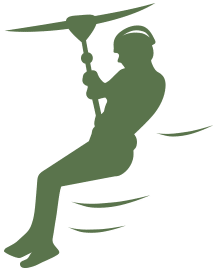 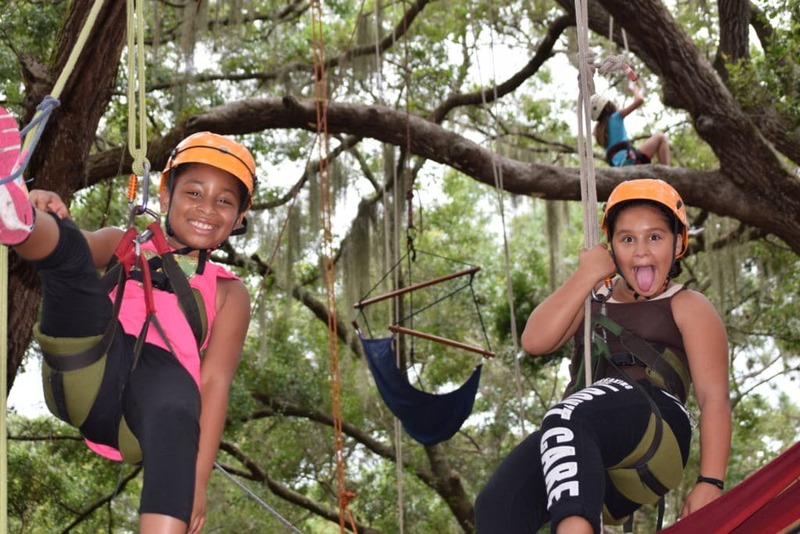 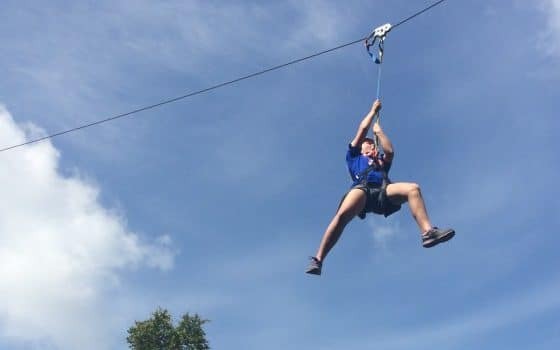 At first glance, our low ropes course seems like nothing more than a series of rope swings, balancing wire, and elevated platforms. 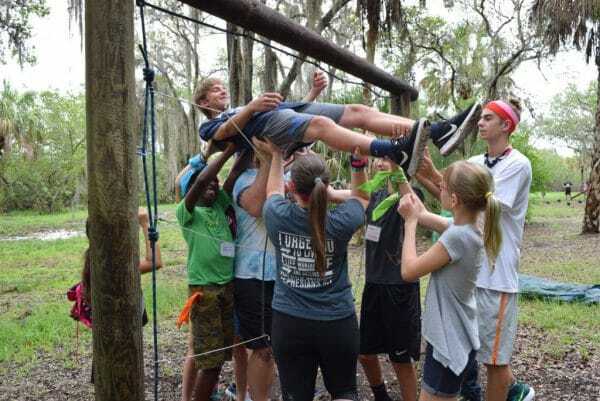 However, with the addition of a trained facilitator, each element becomes a powerful abstract metaphor for real-world challenges which can only be solved by a team working together. 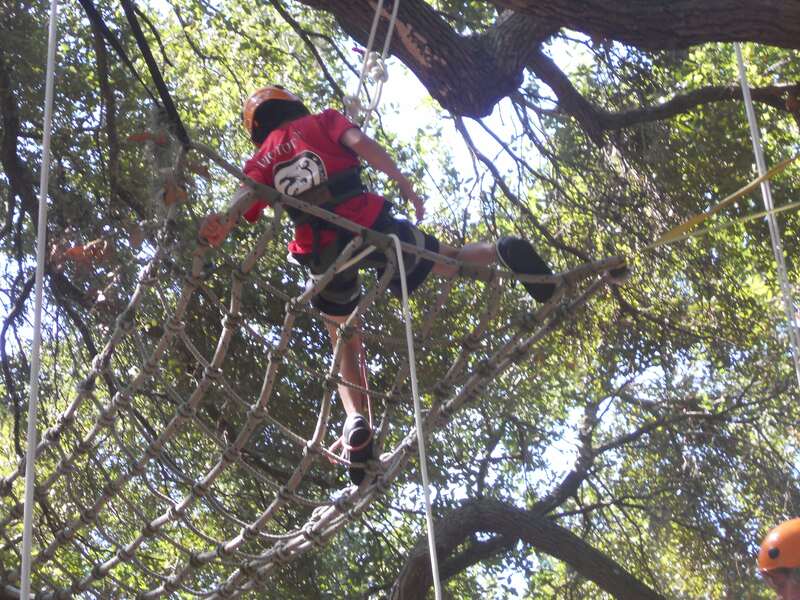 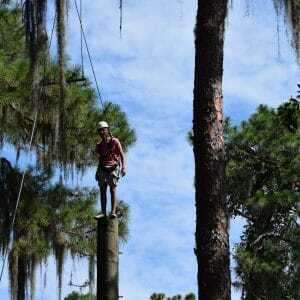 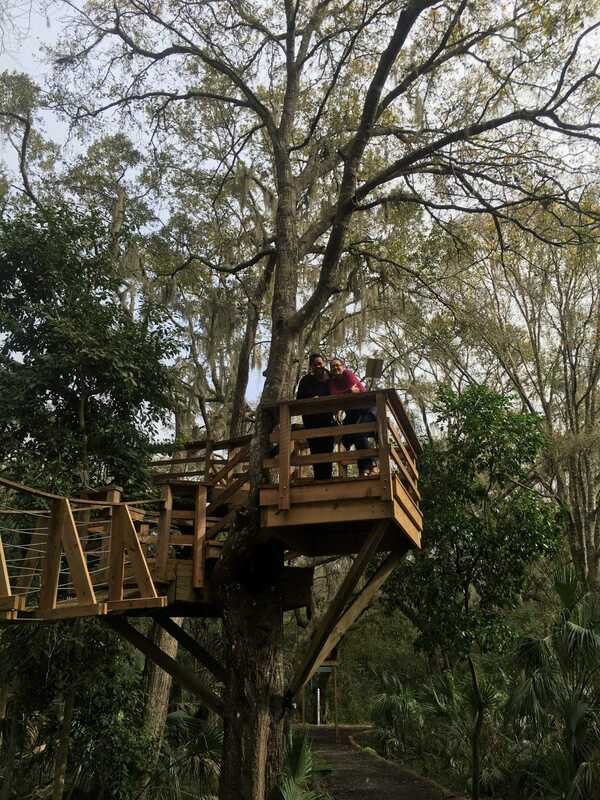 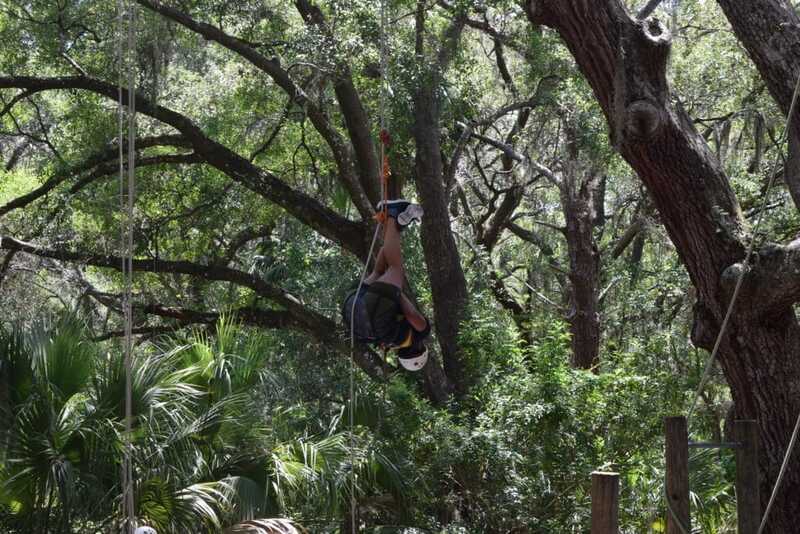 Harness in, climb 35 feet up the wall tower, and then zip over 200 feet through the trees.